A Scout in Mimic Grounds Series. I began writing the rough draft before I left for active duty and during my time away I would periodically jot down plot ideas especially after field exercises and training etc. Any parent serving, or have served in the military fully understands the challenges but also has its rewards. I'd say that I prefer to stay busy and look for challenges. Stay tuned for the next book! Book 1 is truly just the beginning. Breaching the Surface: A Scout in Mimic Grounds Series is a military science fiction novella written by M.T. Rose. The undersea world that had become their refuge had been terrifying and strange at first, but gradually it had become their home. From his vantage point under the sea, Bennett considered the havocs that had overwhelmed the world above, and he wondered just what it would take to appease them. First Sergeant Vincent Snow wondered how he was going to break the news to his wife, Harlyn, about the orders he had just received. Their lives had been happily consumed with raising their soon-to-be eight-year-old daughter and their new infant. Now, they had to deal with the fact that the havocs had somehow found a way past their entry points. Their safe world was on the verge of being penetrated. Vincent and his wife would both be called to active duty to counter this latest incursion. M.T. 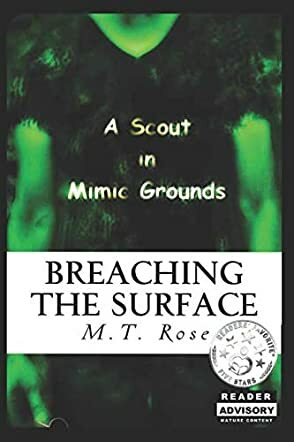 Rose’s military science fiction novella, Breaching the Surface: A Scout in Mimic Grounds Series, is a fast-paced and exciting story about humanity’s fight to survive against an insurgency. Rose’s own military experience in the U.S. Army gives this book a genuine feel that is often missing in military science fiction. The reader is privy to the feelings of parents who serve and must entrust their children to caregivers when called up, and to the suspense and action of being in a combat situation. You get the gravity, fear and impact of active combat because she does. Rose’s plot is tidy and well-crafted, and her characters are credible and finely honed. Breaching the Surface: A Scout in Mimic Grounds Series is highly recommended.